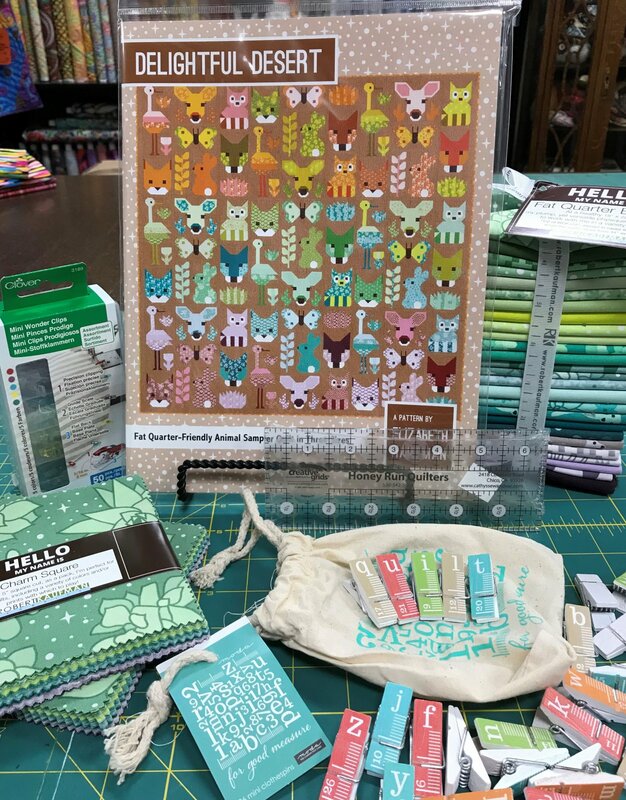 Great sampler quilt with a twist, let's do animals...work on your 1/4", mirror images and piecing. Complete supply list is available upon paid registration. We offer a 20% discount for fabrics, notions and supplies. 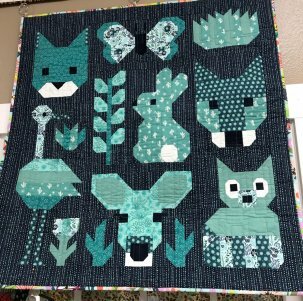 Kelly has a cute baby quilt in the shop as a sample.